HTC devices to be banned in Germany? 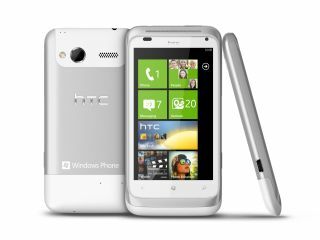 It could be a bleak mid-winter for HTC as it its smartphones and tablets look likely to be banned from sale in Germany. Having dropped objections to a patent lawsuit and sales injunction won by a Germany company, IPCom, in 2009, the company's devices could be withdrawn from German stores. IPCom threatened in a statement, "IPCom now intends to execute this injunction in the shortest possible time." IPCom's MD, Bernhard Frohwitter, added, "Apparently, HTC has accepted it had no realistic chance of winning this case – the courts have clearly established that HTC has been infringing our patents and now given us the means to put a stop to it. "Since HTC has never to come up with an offer that adequately reflects the value of these patents, IPCom has been left with no choice – we will use the right awarded by the courts, likely resulting in HTC devices disappearing from shops during the crucial Christmas season." Perhaps HTC's knowing that this particular case was about to go south was behind its decision to drop sales estimates for the final quarter of 2011 by 20 per cent last week. However, the company's chief financial officer Winston Yung told Reuters that HTC is not about to 'do a Nokia': "I don't think it's so serious… We will focus on the product next year, better and more competitive. We will launch some worldwide flagship products. We're confident in them."